Washington Writers Publishing House (WWPH) is pleased to announce the winners of its annual fiction and poetry contests, Nicole Tong and Jacob Weber. 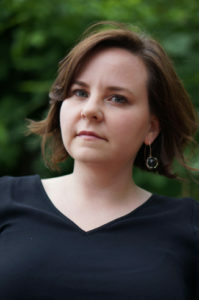 NICOLE TONG is the recipient of fellowships from the Vermont Studio Center, Virginia Center for the Creative Arts, Sundress Academy at Firefly Farms, and George Mason University where she received her MFA. In 2016, she served as an inaugural Writer-in-Residence at Pope-Leighey House, a Frank Lloyd Wright property in Alexandria, Virginia. She is a recipient of the President’s Sabbatical from Northern Virginia Community College where she is a Professor of English. Her writing has appeared in CALYX, Cortland Review, Yalobusha Review, and Still: the Journal among others. Tong received a Dorothy Rosenberg Award and has been nominated for a Pushcart prize. Visit www.nicoletong.com to learn more about Nicole and her work. 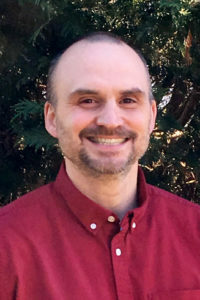 JACOB WEBER is a translator living in Maryland. He has been a Marine, a retail clerk and manager, a waiter at a Korean restaurant, and a volunteer mentor and English tutor to immigrant adult learners. He is currently a fiction reader for The Baltimore Review. Like nearly everyone living in the D.C. region, Jacob is from Ohio, where he graduated from Walsh University after his enlistment in the Marine Corps. He has an M.A. in English with a concentration in creative writing from the University of Illinois at Chicago. He blogs about workshops, fiction, doubt, rejection, why the Lord of the Rings movies make him angry, and whether fiction is really good for you at workshopheretic.blogspot.com. He has published fiction in The Potomac Review, The Green Hills Literary Lantern, The Baltimore Review, and Bartleby Snopes. He has written a novel on the adventures of a translator of a pretend language for a government agency.